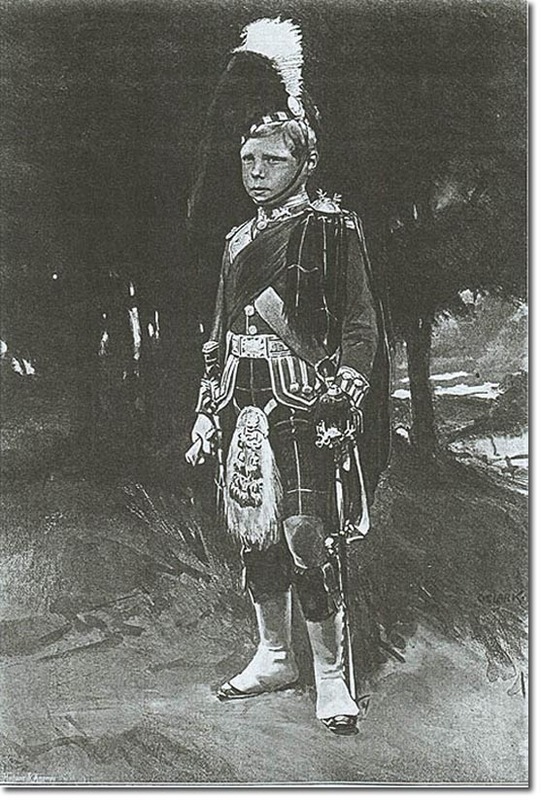 The boy prince Edward looks about 7 or 8 years old in this portrait, wearing a small version of the dress uniform of the Gordon Highlanders. He was born on 23rd June 1894, became Prince of Wales in 1911, and acceded to the throne on 20th Jan 1936 as King Edward VIII. He was never appointed to be Colonel-in-Chief of the Gordon Highlanders.